The family of a foster mum to more than 150 children have donated fans to a hospital to help patients. Tina Moore, 62, died in November from chronic obstructive pulmonary disease (COPD) with her family by her bedside at Hull Royal Infirmary. 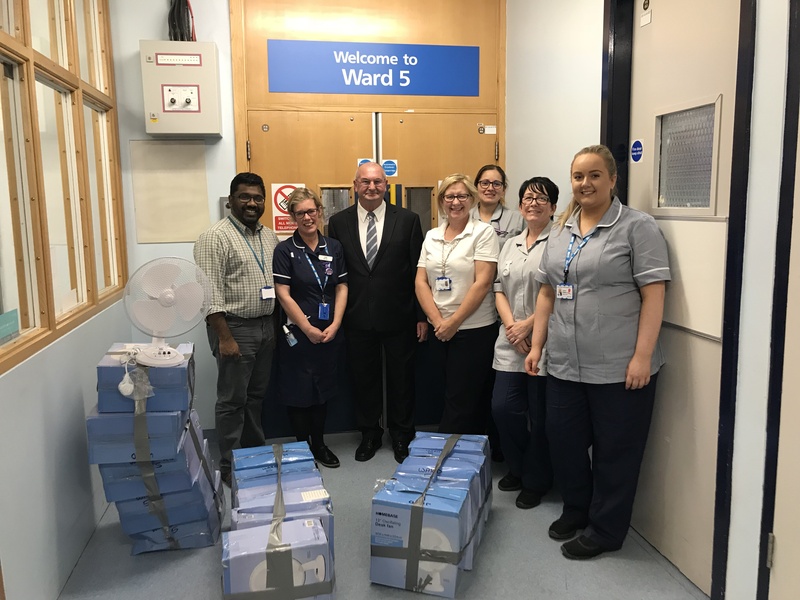 Now, Mrs Moore’s family have donated 15 fans and a cheque for £50 as a thank you to staff on Ward Five after raising more than £300 at her funeral. Her husband Bill said: “I just can’t thank the staff enough. Everyone on the ward, the nurses, all the members of staff, just couldn’t do enough for my wife. Mr and Mrs Moore dedicated their lives to helping children from difficult backgrounds, providing them with a safe haven. “My wife was just my princess,” Mr Moore said. “I miss her every minute of every day. “She felt the same about the hospital staff as I do. She was under the care of Sega Pathmanathan and he saw her in the car park once when we were here for something else. “He was so concerned about how she looked that he told her to come in that Monday and she got an appointment for that day. Mr Moore, of North Bransholme, said he came up with the idea to buy fans for the ward while his wife was being cared for by staff. “When she had a flare-up with her COPD, she used to get so breathless and we’d have fans on in the house and the door open and everything just to give her some relief,” he said. “In the hospital, she was sharing a fan with the patient next to her and I just knew that if I ever had extra money, I’d buy fans for the hospital. Anne Littlefield, sister on Ward Five, thanked Mr Moore and his family for their generosity. She said: “All the team feel it was a pleasure to look after Tina and her lovely family.